Iodine is an essential trace element that combines with the amino acid tyrosine to form thyroid hormones T4 and T3. 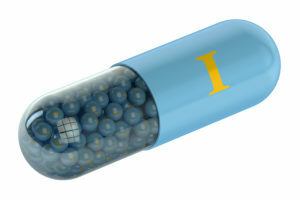 Thyroxine (T4) contains four iodine atoms, and triiodothyronine (T3) contains three iodine atoms. Iodine deficiency is recognized as the most common cause of preventable brain damage in the world. Even moderate deficiency results in a loss of at least 10 – 15 IQ points. [i] And the reason we’ve added iodine to our list of essential nootropics. Your thyroid gland absorbs iodine from your blood supply to make and release thyroid hormones. Your thyroid affects every cell in your body and brain through the hormones T4 and T3. Within your brain, T4 is converted to T3 by selenium which then affects gene expression controlling metabolism within cells. And activates the catecholamines dopamine, norepinephrine and epinephrine. Malfunctioning thyroid function which is often caused by insufficient iodine results in poor cognition, difficulty learning, problems with recall, depression and anxiety. Neurotransmitters: Iodine is required for the production of thyroid hormones T4 and T3. Thyroid hormone receptors in the brain help regulate the production and use of all important neurotransmitters. 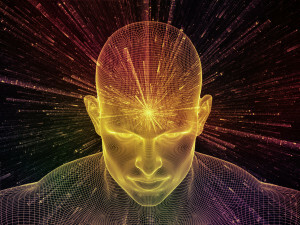 Brain Energy: Iodine is necessary for the production of thyroid hormones which help control cellular metabolism and energy use within brain cells. Supplemental Iodine usually results in increased energy levels and feelings of well-being. Neuroprotectant: Iodine can kill bacteria, fungal infections, and viruses. Iodine will remove fluoride, chlorine and bromine. [iii] And helps your body detox heavy metals like mercury and cadmium that other detox methods can’t remove. How does Iodine work in the Brain? Iodine is an essential trace element needed for the creation of thyroid hormones in your body. Iodine combines with the amino acid tyrosine to produce thyroxine (T4) and triiodothyronine (T3). The most abundant source of Iodine in our diet comes from seafood like kelp, saltwater fish, seal meat, whale meat, oysters, mussels and lobster. Iodine is also found in beans, milk and milk products, eggs, spinach and vegetables grown in or produced from soil rich in iodine. Typically found near coastal areas of the world. The most seriously iodine-deficient parts of the world are mountainous and inland areas. Including much of the agricultural producing areas of Western countries like Australia, Canada, USA and Europe. Iodine is absorbed by your thyroid gland for the production of thyroid hormones. The pituitary gland in your brain releases thyroid stimulating hormone (TSH) instructing your thyroid to release T4 and T3. T4 and T3 are produced by combining tyrosine (thyroglobulin) with iodine and released into your blood stream. Thyroid transport proteins then carry the hormones to target cells all over your body including your brain. Nearly all of your body’s functions in nearly every tissue rely on thyroid hormones. Their actions and influence are so wide ranging that you cannot live without them. Thyroid hormones affect brain development, heart rate, lung function, blood function, bone growth, steroid hormone production, including the breakdown of sugar, fat and protein. And even some immune processes. Iodine is even involved in how the other nootropics in your stack are utilized by cells in your brain. The bottom-line is Iodine could be one of the most important additions to any nootropic stack. Iodine boosts brain health and function in several ways. But two in particular stand out. Iodine is critical for neurotransmitters. Iodine is required for the production of thyroid hormones T4 and T3. Thyroid hormone receptors in the brain help regulate the production and use of all important neurotransmitters. Not enough iodine results in too little T3 and T4 in your body. Symptoms of inadequate thyroid hormones (hypothyroidism) include insomnia, fatigue, difficulty concentrating, depression, dry skin and hair, cold sensitivity, frequent and heavy periods for woman, and joint and muscle pain. Iodine is required for a healthy immune system. Iodine is antibacterial, antiparasitic, antiviral and has anticancer properties. Your thyroid is the main storage site for iodine. But this mineral is also concentrated in your glandular system including your salivary and sweat glands. Ovaries, breasts, pancreas, cerebral spinal fluid, skin, stomach, prostate and your brain all contain high concentrations of iodine. 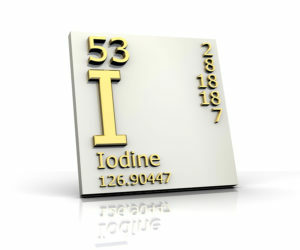 Iodine is a powerful method for removing heavy metals and halides like fluoride, chlorine and bromine from your system. These chemicals compete for the same thyroid receptors in cells used by thyroid hormones. So removing these toxins will help thyroid hormones do their job of gene expression and metabolism. Iodine is needed by the thyroid to produce the thyroid hormones T4 and T3. Part of the endocrine system, the thyroid secretes hormones that enter your circulatory system. And are transported throughout your body. Every cell has receptor sites for thyroid hormones. Neurotransmitters are used by neurons to communicate with one another. The presynaptic neuron releases a neurotransmitter which then binds to a receptor on the postsynaptic cell. Here we’re going to explore how neurotransmitters relate to the endocrine system and thyroid health. And what can go wrong. Thyroid hormones are involved in the gene expression needed for neurotransmitter release. [iv] Low levels of iodine result in low levels of thyroid hormones which result in low neurotransmitter levels. Several studies have shown that low T3 results in reduced levels of serotonin in the brain. If you don’t respond to SSRI’s for depression it could be due to a thyroid hormone imbalance. [v] The result is depression. GABA is your brain’s natural Valium. GABA can help turn off stress after you get upset. Or even prevent a stress response in the first place. Low iodine results in low levels of thyroid hormones affecting GABA. Which can lead to depression or anxiety. Insufficient iodine can result in hypothyroidism. And negatively affect ACh synthesis in the brain. Affecting cognition, memory, learning, recall and mood. Not enough iodine in your diet negatively affects neurotransmitters in your brain. And can result in depression, brain fog, anxiety, learning and memory problems, and ultimately lead to neurodegenerative diseases like Alzheimer’s and Parkinson’s. Most neurohackers associate Iodine with the thyroid because Iodine is needed to produce thyroid hormones T4 and T3. But Iodine is also concentrated in your salivary glands, stomach, breasts, ovaries, eyes and in your brain. Deficiency in Iodine in any tissue will cause problems in that area of your body. And weaken your immune system. Symptoms of low Iodine show up as brain fog, skin problems, fibroids, fibromyalgia, and chronic fatigue. Iodine can kill bacteria, fungal infections, and viruses. Iodine will remove fluoride, chlorine and bromine. [xi] And helps your body detox heavy metals like mercury and cadmium that other detox methods can’t remove. Iodine helps prevent and even reverse breast cancer. And helps prevent mental retardation in young children. 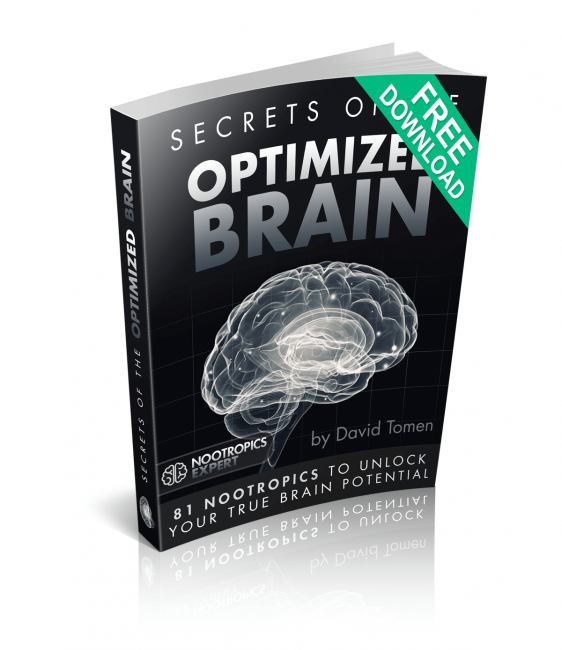 Your brain needs sufficient Iodine for cognition through several mechanisms of action. This essential element is involved in gene expression that controls the synthesis of neurotransmitters in your brain. And how they work. One recent study showed that water fluoridation in England is linked to higher rates of underactive thyroid. [xiii] One of the simplest things you can do to boost cognition and your thyroid is to stop using fluoridated water and toothpaste. And start supplementing with Iodine to remove the fluoride toxicity and boost thyroid health. Adding Iodine to your stack if you are deficient is one of the easiest and least expensive ways to prevent and even cure a host of health problems. Including boosting cognition and memory. Many neurohackers report an increased level of focus, energy, memory, and cognitive ability when supplementing with Iodine. You should also experience improved quality of sleep. And have an overall improvement in mood. Others report a profound difference in energy levels, they are more alert, and fatigue in the afternoon disappears. A few even report a significant improvement in tinnitus. One of most common reasons we use nootropics is to boost memory and mental energy. Memory loss drastically reduces quality of life. And simple brain fog makes it difficult to accomplish the simplest of tasks. Research has shown that Iodine is involved in memory, learning and cognition on several levels. And supplementing with Iodine is one of the most fundamental things you can do to boost cognition. The world’s greatest concentration of iodine deficient countries in the 1990’s was the former Soviet republics of Central Asia. Worldwide, about 2 billion people or a 3rd of the world population get too little iodine. Studies show that iodine deficiency is the leading preventable cause of mental disorders. Even moderate deficiency lowers intelligence by 10 – 15 IQ points. The most visible and severe effects manifest as goiters, dwarfism and cretinism. Ever hear someone use the derogatory term “cretin” to describe someone with low intelligence? Cretin describes a child born and raised with severe mental disabilities, small stature and weakness all due to not enough Iodine in the mother’s diet when she was pregnant. In Japan, people get Iodine from seafood, seaweed, vegetables grown in Iodine-rich soil or animals that eat grass grown in that soil. But even in wealthy nations like the USA and the UK, people still need to supplement. Usually by using iodized salt. Or adding it to their stack as a supplement. According to Dr. Gerald Burrow, a former dean of Yale’s medical school, “For 5 cents per person per year, you can make the whole population smarter than before”. Simply by adding iodine to the salt supply. Back in the old Soviet republic, Kazakh children were stunted compared to same-age Russian children. A survey of 5,000 households in 1996 found that 10 percent of children were stunted. And iodine deficiency identified as the main culprit. In Kazakhstan, Turkmenistan, Tajikistan, Uzbekistan, and Kyrgyzstan campaigns were run promoting iodized salt. Salt companies were persuaded to add iodine to salt before putting it in stores. In Kazakhstan in 1999, only 29% of households were using iodized salt. Now, 94% of households are. 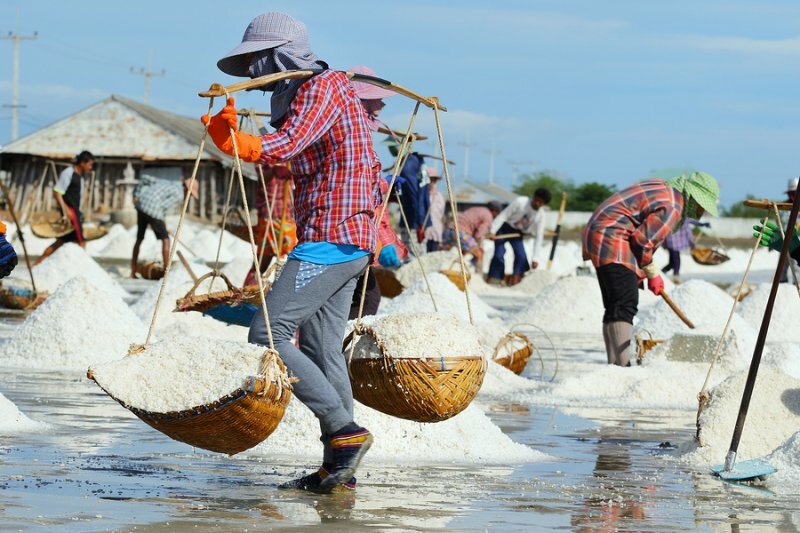 And in 2007, the United Nations certified the country officially free of iodine deficiency disorders. A 10-year study conducted in Italy investigated the children born to 16 women from an iodine-deficient area (Area A) and 11 control women in an iodine-sufficient area (Area B). ADHD was diagnosed in 11 of the 16 children born in Area A but none in Area B. Total IQ score was nearly 20-points lower in Area A children compared to Area B. The researchers noted that the prevalence of ADHD in children born in Area A could only be compared to similar children with a resistance to thyroid hormones. Recommended Iodine dosage is very difficult because everyone needs different amounts based on your body’s ability to use the Iodine. And the level of exposure you have to daily toxins like fluoride, chlorine, and other halides. If you are dealing with a severe health problem, then your dosages would need to be higher that someone trying to maintain good health. Maintenance and for optimal cognition – Natural health practitioners once thought that 25 mg of Iodine per day was good for maintenance. But recent information on the exposure we have daily to toxic load from bromines, fluorides and chlorine bombarding our system may require higher doses. Natural health doctors are now recommending a minimum of 50 mg of Iodine per day. Cancer – Cancer is a result of mutated cells. 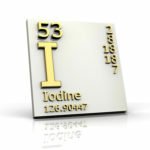 Iodine is critical for the P53 gene which prevents damaged cells from dividing. [xvii] Iodine and selenium helps P53 do its job of eliminating abnormal cells. Cancer patients have used 50 – 300 mg of Iodine per day successfully. Selenium – 200 – 400 mcg per day. Selenium is required for the production of T3. And assists in detox. Vitamin C – 2,000 – 5,000 mg per day helps support thyroid symporters which transport thyroid hormones through the body including across the blood-brain barrier. And assists in detox. Magnesium – 400 mg per day. See our post on Magnesium as a nootropic. Iodine is fat-soluble and should be taken with food particularly if you have a sensitive stomach. The supporting supplements can be taken at the same time as your Iodine dose. Iodine should be taken early in the day because it can increase energy levels so much you could have problems sleeping. Most forms of Iodine can cause diarrhea and bloating. Particularly at higher doses. Those with a sensitive stomach could experience stomach pain and is the reason we suggest taking Iodine with food. It is also possible to overdose on Iodine. So please start at a lower dose and see how your body reacts. Symptoms of Iodine overdose include abdominal pain, delirium, fever, vomiting and shortness of breath. Iodine is a powerful method for removing toxins and heavy metals from your body which can also product unpleasant effects. If you experience flu-like symptoms when starting Iodine its very likely you’re feeling the effects of toxins being flushed out of your cells and your body. For more on Iodine toxicity you can browse this extremely poorly formatted, very long post on the Toxicology Data Network. Iodine is sold in many forms but the main thing to look for; does the product contain both Iodine and Iodide. Your body needs both forms. Breasts look for Iodine and the thyroid needs Iodide. Contrary to some sources; your body cannot convert supplemental Iodine to Iodide. Also important is to find a product that provides milligram (Mg) doses vs. microgram (Mcg) amounts. Mcg doses will offer very little health benefit. And are much more expensive compared to Lugol’s. “Nascent Iodine” which is iodine in its atomic state and is a very low dose. Not enough to detox heavy metals, fluoride, bromine and chloride. Or to saturate tissues. We recommend using Iodine as a nootropic supplement. Your body does not make Iodine on its own. So to get its benefits it needs to come from your diet. Or you must take it as a supplement. Iodine is especially helpful for those dealing with brain fog, poor cognition and memory, low energy levels and a sluggish thyroid. Iodine is also particularly useful to help rid your body of the daily toxins we’re exposed to every day including heavy metals, fluoride, chloride, bromine and other halides. While most forms of Iodine are helpful for overall health, keep in mind it’s the thyroid hormones T4 and T3 which influence cognitive health. Thyroid hormones are produced from tyrosine and Iodine. And the production of T3 from T4 requires selenium which should be a part of your stack when using Iodine. We recommend an Iodine supplement which contains both Iodine and Potassium Iodide to boost cognition. Iodine is a fast-acting nootropic that can also help prevent brain degeneration later in life. I hope that i can adress you by first name, my Name is Irma. 22 or more years ago i experence eating blue crab legs and resulted in getting very sick. Your video explained that i experence an overdose of Iodine on the first time of having eatten crab leggs. Luke for me my housbend told me to drink half the bottle of liquid Dimetab allergie medcine. I since then never eat Idone in any form. The week 9-10-2017 was given a blood test and now have Hypothroid gland less active. I am so happy that i viewed your video on Iodine and Iodide. The doctors at my clinic perscriped some meds and i reserch it. I found the meds are for the removel of the Thyroid gland, or cancer of the gland. I have the gland and not been told i have cancer. The name is LEVOTHYROXIN,The instuction is to take these for 3 monthes. I have not taken any. I have started taking 1000 mg of vitemen C, and Kelp, but that one is not good. I have take a shake and put a patch on my sholder from a company by the name of THRIVEJBY LEVEL premium nutrition. I feel better but this dose not mesure up to your advice. Please let me now if you know of a good doctor in Dallas and Fort Worth Texas area that is a expert in the field of thyroid gland health. I so much want to tell you, your an Angel for sharing your knowledge. Irma, your experience with Blue Crab legs may not have been a problem with iodine. It could be that you’re allergic to seafood. If that’s true then kelp supplements may also be a problem for you. Your body absolutely requires iodine. 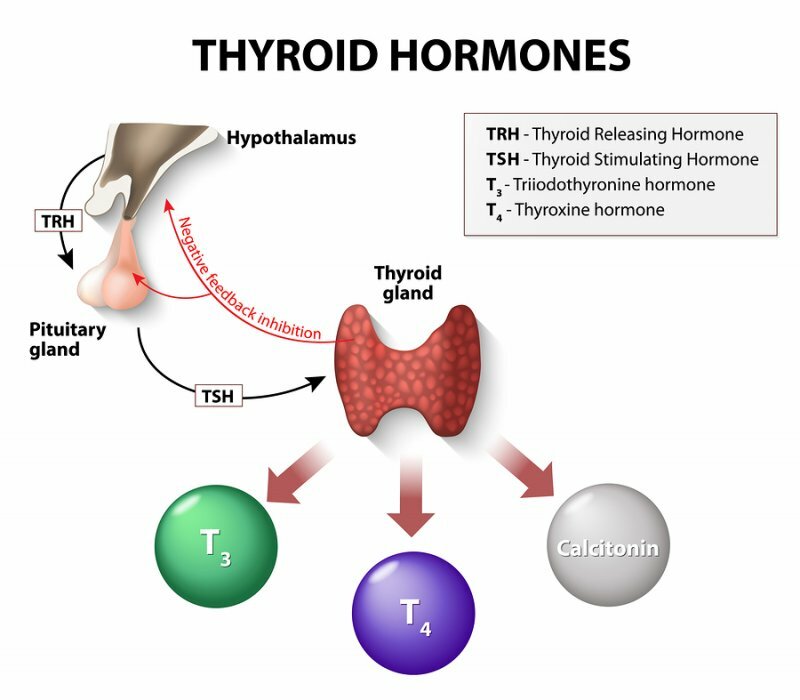 Without it your thyroid cannot produce Thyroxine (T4) which contains four iodine atoms, and triiodothyronine (T3) which contains three iodine atoms. Without iodine a doctor will likely diagnose you with a malfunctioning thyroid. And who knows what’ll happen then. Because mainstream doctors, even specialists like endocrinologists don’t understand how the thyroid works. Or how your body produces T4 and T3. Levothyroxine is synthetic T4. The theory is your body will convert the T4 supplied by that drug and turn it into T3. But for a large percentage of people that does not happen. Me included. The only safe and effective thyroid medication is natural desiccated thyroid like Armor or NP Thyroid. But your body still needs iodine. Finding a good doctor anywhere in the USA, or anywhere in Western countries that understands thyroid hormones is next to impossible. I fired at least 6 endocrinologists and finally convinced my doctor to prescribe NP Thyroid. I suggest going to this site to start your search > https://stopthethyroidmadness.com/how-to-find-a-good-doc/. I also highly recommend the site’s owner, Janie Bowthorpe’s book called Stop the Thyroid Madness here > http://amzn.to/2y7KKGZ so you get a better understanding of what you need to do. Hi is it ok to take Lugals or any other iodine you recommend if you have Hashimotots? Hello, thanks for the video on iodine. Another video claimed that iodine and vitamin C should not be taken at the same time as they partially neutralize eachother. It was recommended to wait at least 2 hours before taking the C.
I dont remember you mention this in your video…but if you have knowledge of why they neutralize eachother please replay to this comment as i want to understand this mechanism further. And if you research and find this to be true yourself i suggest adding a bubble with text to your video. What food is best to ake Lugols Solution with? Håkon, I cannot find any evidence that Vitamin C “partially neutralizes” iodine absorption. I have found evidence that supplemental Vitamin C increases serum concentrations of TSH, free T4, and T3 (https://www.ncbi.nlm.nih.gov/pubmed/24601693). Iodine is required for the synthesis of T4 and T3. The research shows Vitamin C and iodine work together. And since iodine is fat-soluble you’ll find that a supplement like Lugols works better if taken with healthy fats like unrefined coconut oil, MCT oil or extra virgin olive oil. Ok, this is what Kundabuffer wrote on youtube, search for his/her channel to see the video. Im on day three taking 12.5mg lugols solution…no headaches or noticable detox symptoms. Could mean i didnt have too much bad halides? I feel like my thyroid is not in its best health, how many weeks do you think it takes to see an improvement? Håkon, it will take awhile for you to feel marked improvement. The improvements will be subtle and you may not realize it until sometime later. I would also supplement with selenium, magnesium, and possibly iron if you are low all to support your thyroid. Thanks i do both magnesium l-threonate, citrate and malate. For selenium i take a little sunflower seeds each day but might buy a supplement when i can afford it to get exactly 200mcg/daily. This guy just bluntly said that iodine supplemention above 1mg aday increase the risk of thyroid cancer. I was wondring if you had any studies that could back up, disconfirm or clarify this connection. Håkon, I’m not about to get into a senseless and time consuming debate about the safety of Iodine. Iodine is an essential trace element that combines with the amino acid tyrosine to form thyroid hormones T4 and T3. Thyroxine (T4) contains four “iodine” atoms, and triiodothyronine (T3) contains three “iodine” atoms. Your body needs iodine. I learned long ago that I had to take responsibility for my own health. And no “expert” was going to do it for me. 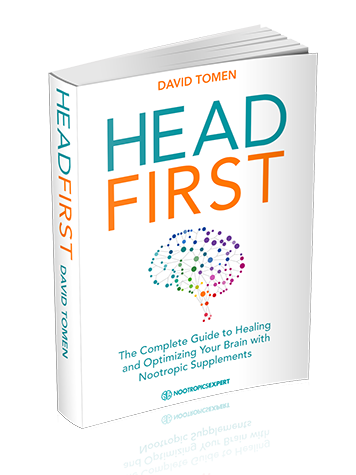 In my opinion, simple common sense should prevail when deciding to use a nootropic. Wouldnt higher doses of iodine push the other minerals the thyroid require push them into relative deficiency? It shouldn’t suppress the levels of other minerals your thyroid needs. But why use excessively high doses of Iodine? Your body and thyroid can only use so much. Like most everything in your body, too much of anything is not good. And in some cases throws things off balance. Not the way nature intended. Think of it this way … Would you try to ‘push’ more gasoline into your car’s engine to make it work better? An engine is designed to use a certain amount of fuel depending on the load put on it. Trying to ‘force’ more fuel will not help. And in fact, will likely ‘choke’ the engine and it’ll quit. You say not to take high levels of iodine because that’s not how nature intended us to work, yet recommend 25-50mg a day? The only natural way to consume this is to eat 1-2 ounces of kelp a day, I can’t find a lot of evidence that our ancestors ate a lot of kelp. Also there is evidence that going above 500 micrograms can suppress T4 production, and in those with Hashimotos any level of iodine will increase TPO antibodies. Joren, our ancestors, and in particular in coastal areas of the world, got their iodine from beans, milk and milk products, eggs, spinach and vegetables. And not just kelp. I suggest you read this post again with a more open mind. I’m not a doctor. Do not even play one on TV. The post clearly says, “Recommended Iodine dosage is very difficult because everyone needs different amounts based on your body’s ability to use the Iodine.” And “Natural health doctors are now recommending a minimum of 50 mg of Iodine per day.” It’s up to the individual to determine how much iodine their body requires. Please provide the evidence for “going above 500 micrograms can suppress T4 production, and in those with Hashimotos any level of iodine will increase TPO antibodies.” And I’ll gladly update this review. Good article on the benefits of iodine.Have personally been on mostly a half a 12.5 iodoral tablet for 2 years, after my Dr recommended it as i was choking on food on occasions.Also he found mercury in my blood as a result of 8 amalgams filling being in my mouth for 50 years.Dr david Brownstein has an excellent book on the wonders of iodine. I have now removed all my fillings and am starting to increase my intake of iodine.I stopped choking on my food within 2 weeks,and lost my cold hands and feet. Thank you for your comment Stephen. It’s always encouraging to hear another ‘good news’ story. Because it gives people hope and that it is entirely possible to get better. I’m allergic to seafood. I was told since I’m allergic to seafood that it was probably the iodine in it. When I go to the doctor’s I tell them I’m allergic to iodine. I love seaweed and eat it when I can. From what I read foods are sufficient enough. What are some good options for me (if any) to get iodine? I have chronic fatigue and am desperate for some relief. Pati, if you are “allergic” to iodine you will not survive. Your body requires iodine to make things like your thyroid hormones. I’m not an expert on allergies and certainly am not a doctor. But “seafood” does not equal “iodine”. Iodine is also found in beans, milk and milk products, eggs, spinach and vegetables grown in or produced from soil rich in iodine. Typically found near coastal areas of the world. If you do not live in a coastal area and/or get your food grown in coastal areas, and if you don’t use iodized salt you are likely deficient in iodine. There is no other “option” to iodine. We all need it everyday. Try a quality iodine supplement from one of the trusted supplement manufacturers and figure out how much you need to take. You may get some relief from your chronic fatigue. I have high blood pressure and I take Atenolol tablets 100 mg and Candesartan Cilexetil / Hydrochlorothiazide 16 mg / 12.5mg tablets. 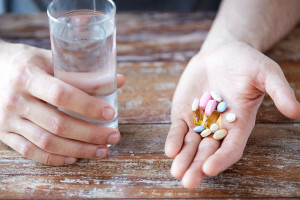 Does iodine interact with these medications? Which iodine supplement do you recommend for me to use? Salah, I’ve used Lugol’s and Pure Encapsulations in the past with good results. I now get my daily iodine dose from the multivitamin I use: Performance Lab Whole-Food Multi for men. Just out of curiosity: Do you get your full daily iodine dose just from Performance Lab Whole-Food Multi or do you use an additional supplement? On the Performance Lab website, it says Whole-Food Multi contains 0.15 mg per serving. Isn’t this a fairly low dose compared to your recommendation of 25 – 50 mg per day? Lasse, at the moment my daily iodine dose comes from Performance Lab Whole-Food Multi only. Thanks for the reminder because I need to order more Lugol’s. I had half of my thyroid removed because of a noncancerous nodule. So I’m afraid of injuring my thyroid and losing the other half. I’ve been taking about 600 mcg of iodine supplement for about 3 weeks. I feel more alert when I take even that small amount. I’m scared too take too much and ruin my remaining thyroid half……how possible is that? Can that happen? My recent lab tests show my Free T4 at .9ng/dl and TSH, Sensitive at 1.46 ulU/ml and T3, Free at 2.0 pg/ml from June 19, 2018. Would you feel safe taking the 12-25 MG with my thyroid issue? Lynette, the only way to tell if you are getting too much iodine is to listen to your body. Go back and read the “Side Effects” section of this review. And if you are experiencing any of those symptoms then reduce the amount of iodine you are using. Forget about TSH on your lab tests. Keep an eye on Free T4 and Free T3. The best authority on thyroid issues is here: https://stopthethyroidmadness.com/. I highly recommend her first book. It was my “bible” that helped me get back on my feet (which started out with a visit to the ER). Learn how to read your own labs. That site will help. And fire any doctor who puts any weight on TSH. You should have more success with iodine by supplementing with Selenium, Vitamin C and magnesium. See “Dosage Notes” in this review. And because iodine works with tyrosine to produce T4 and T3 you many want to try using L-Tyrosine or NALT as well. Is it safe to add kelp powder to the vegetable patch in order to increase the uptake of iodine? Would arsenic be a problem? Is there any other additive you could use besides kelp powder? Luke, sounds like a good idea but then I’m not a gardener so don’t take my word for it. But it does make sense. I have been supplementing with 450mcg per day of iodine. I had an adverse reaction when I first started I believe because my body freaked out with that much iodine because it was getting almost nothing before that. 25-50mg seems like an awfully high dose, and I cannot find such a high dose in stores. John, that initial “adverse reaction” was your body detoxing from some pretty nasty stuff. 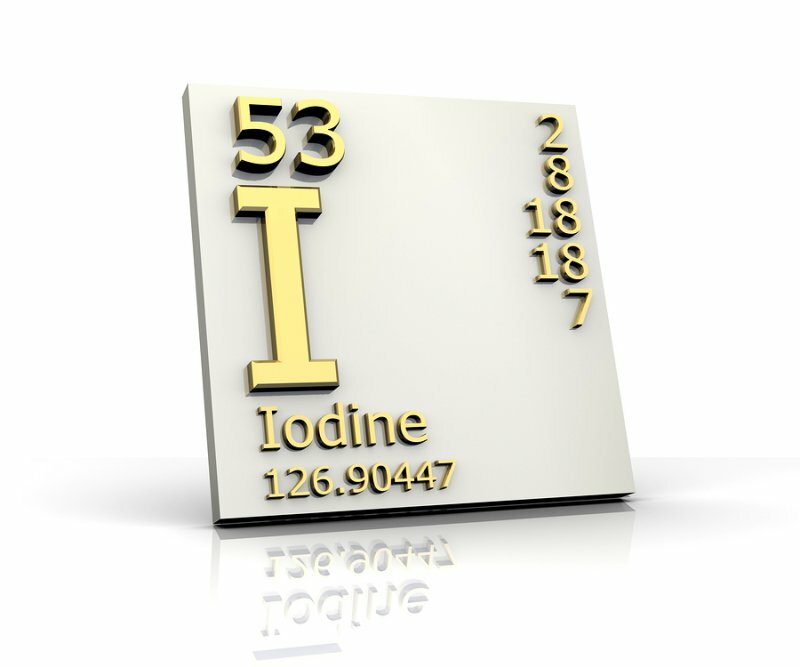 One of Iodine’s functions in your body is to help get rid of things like heavy metals. Your body will decide how much iodine it needs as long as you provide it through food or a supplement as you are doing. Stay with your current dosage if it’s working for you. Last time I tried taking 4 drops of lugol’s 2% in water for 2 weeks I gained 15 lbs. without changing my diet. Any thoughts on why that could have transpired. Todd, iodine helps produce thyroid hormones which affect cellular metabolism. It’s why someone who is hypothyroid can gain weight or hyperthyroid can lose weight. Not sure what happened in your case but sounds like it somehow messed with your cellular metabolism and how your cells use energy. This happened to me on a dose of between 6.25 and 12.5 mg. You are detoxing, I believe. You must take the additional supplements esp, Vitamin C and also salt loading helps tremendously to flush out bromide. I also pulsed dose to help my body get the toxins out with weight gain. I might go up a pound or 2 for a couple of days but then I who back to normal. Then I take another dose. Also, the higher the dose sometimes the less the side effects esp with Hashimoto’s, which I have. I started pulse dosing with 50mg every 4 days. Now I am doing 100mg every 2-3 days. Hello I use lugol’s iodine solution 5% and would like to know if I add Selenium, Vitamin C and Magnesium powder, what would be the quantities to add to the Iodine solution liquid in grams? Like how many grams of the powdered supplements listed above per ounce of iodine solution? Thank you for the helpful video. Recommended dosage for selenium is 200 mcg per day. And Vitamin C is debatable because your body can only use so much of it. And the rest gets expelled in urine. I personally use mega-doses of Vitamin C that come out to a total of 4 grams per day. Hi, I came across your YouTube video on iodine. Regarding the part on magnesium, is Magnesium Citrate ok? Here are the ingredients in the magnesium I’m considering getting:Magnesium Citrate, Bulking Agents (Dicalcium Phosphate, Microcrystalline Cellulose), Glazing Agents (HydroxyPropylMethylCellulose, Glycerine, Carnauba Wax), Anti-Caking Agents (Stearic Acid, Silicon Dioxide, Magnesium Stearate). Rachel, magnesium citrate is not as bioavailable as other forms of magnesium like l-threonate or chelated glycinate. Hi David, I’m interested many benefits of iodine, but particularly in the IQ aspects of Iodine. Does it just boost IQ in babies and children, or can adults also benefit? Thanks! Lauren, please read this review again. Without Iodine you would die. With insufficient Iodine in your system your IQ would suffer, you’d likely become hypothyroid, and a host of other issues. Back in the day, governments around the world recognized the importance of iodine and had manufacturers include in table salt. This is not done much anymore. so we need to get our Iodine from things like seafood or supplements. I purchased some Lugols at a strength of 15%. I was wondering how many drops I would need to use to get 25-50 mg per day ? Than you for your interesting, informative and educational videos and sources of information. Phil, read the label. Lugol’s Naturals 15% solution likely says something like 21,460 mcg per drop which is approx. 21.5 mg. Do 2 drops would give you about 43 mg of iodine. I take 50mg Levothyroxine a day. Can I take Lugol’s or one of the others you recommend while taking the prescription? Recently I asked my primary doctor if I could take Iodine and she answered shockingly “Iodine!” and looked at me like I had 10 heads. It’s like she knew nothing about it. So the conversation was dropped. I do not see an endocrinologist presently. I did see one once several years ago and did that 24 hr urine test. Brenda, Levothyroxine is a synthetic form of thyroxine (T4) and you can absolutely use it with iodine. In fact, T4 is called “4” because it has 4 iodine atoms. I haven’t seen an endocrinologist for years either because I cannot find one who understands how to read a thyroid panel. I’ve fired probably 6 endos so far because none had a clue how to properly treat a thyroid patient. What is the best one to buy? Cheryl, I personally prefer Lugol’s liquid iodine. 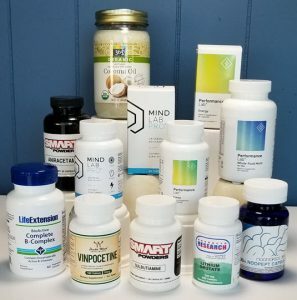 And for selecting a selenium supplement please see this section of a post I wrote on selecting multivitamins: https://nootropicsexpert.com/how-to-select-the-best-multivitamin-for-brain-function/#best-minerals-for-the-brain. Find a supplement company you can trust who produces ‘nature-identical’ vitamins and minerals. And who tests incoming raw ingredients, during the the encapsulation process and just prior to shipping. Hi, really enjoyed your video. It’s not cluttered, easy to follow and makes application achievable. I have been on Lugol’s for a few years and found so much benefit especially as I have had cancer. You do not mention the importance of taking Zinc? I take 3drops of Selenium, 3drops of Lugol’s in a teasp of Vit C, a teasp Mag, Zinc and Borax in the morning after eating. Can you tell me if Zinc is a necessary component and comment on my regime to better it or change it. Some say I shouldn’t take Vit C and Mag together? Thank you. Barrie, selenium, Vitamin C and magnesium work together with iodine to synthesize your thyroid hormones. Please see the dosage recommendations in this review for the correct amounts to take. They don’t necessarily need to be taken in tandem as long as you have adequate levels of each in your system. Hello David, I just received a 2% Lugols liquid iodine/potassium iodide from J. Crow there are no directions on the 16 oz. bottle should the drop(s) be added to liquid, on food or on the tongue. Also on the bottle it said talisman use only what does that mean? As always thanks again for your recommendations! Portress, I’ve always added my drops of Iodine to a few ounces of water and used it to down the rest of my nootropic stack. J.Crow says that their used of “Talisman use only” is for good luck and as a disclaimer. Because it is considered a dietary supplement, the manufacturer cannot legally make any specific health claims. Thank you for the good post. I’m going to start Iodoral as you suggest. I found this phrase while I was surfing the web about iodine intake. “Do not take Vitamin C with iodine. C must be at least 4-6 hours after iodine” . What do you think about this? And you said “Recommended daily dose if you are going to supplement with selenium is up to 250 mcg per day. Long-term no more than 125 mcg per day.” (https://nootropicsexpert.com/13-minerals-essential-for-the-optimized-brain/#selenium). But in this post you said “Selenium 200-400 mcg per day.” So I’m starting to get confused. I’ll take Iodoral(as you suggest Iodine 25-50 mg) for a long time if it has a good effect on me. What is the recommended amount of selenium and zinc if I take Iodoral for a ‘Long-term’? I’m always grateful for your help! Jay, Iodine is required to make thyroid hormones. And Vitamin C is required for transporting thyroid. So not sure what the deal is with avoiding Vitamin C. Sounds like bad advice to me. You’ll be good with 150 – 200 mcg of Selenium per day, and you need 400 mg of magnesium. The male body also needs about 30 mg of zinc with 1.5 – 2 mg of copper. Hello. I was looking for your references on the assertion that “iodine is good for breast tissue, iodide is good for thyroid”? I have been topically applying nascent iodine and have a cystic condition go away as a result. Thanks very much for the informative video and references. I am wondering about using transdermal remediation for suspected iodine deficiency…..
Donna, why would you use transdermal to raise your iodine levels? Why not just use something like Lugol’s? Hi! Thank you so much for your post. You are so generous to do this for us ….you are changing lives. I have a 2% solution of lugols and I’m not sure how many drops are equivalent to a regular dosage. I’m on no medications but do have a breathing sensitivitie.